Saturday dawned wet and cool. 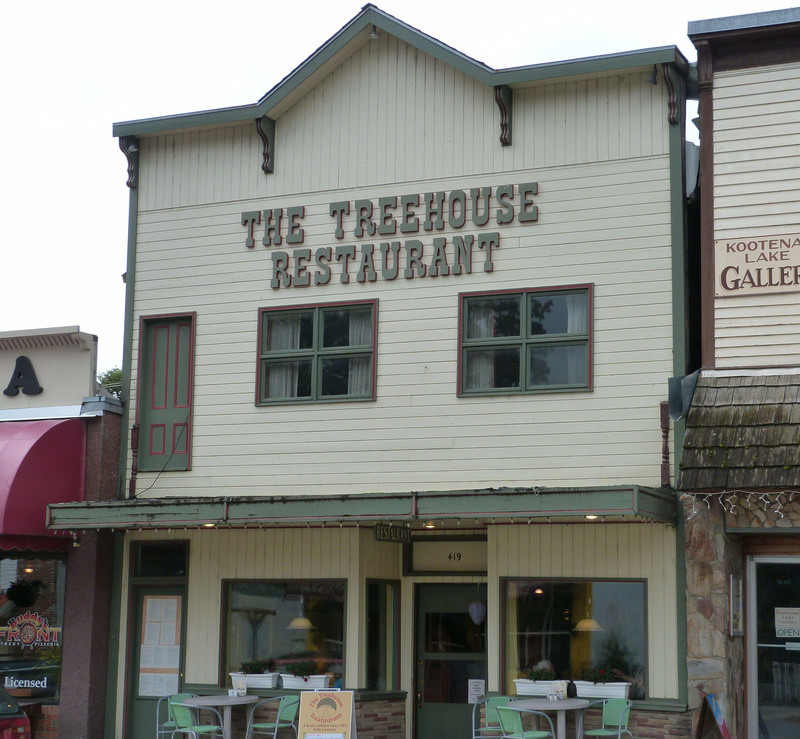 We had breakfast at The Treehouse Restaurant before meeting up with the family at the popular Farmer’s Market, where fresh vegetables were purchased and local crafts admired. The rain let up so we could enjoy lunch in the warmth of the sun outside one of the many bakery/coffee shops along Front Street, the main street. Jim and I shared a table with a photo journalist who had recently returned from documenting life in South America. He told us of the slide show presentation he was giving at the Langham Museum and Cultural Centre next Friday evening, an event we planned to attend. 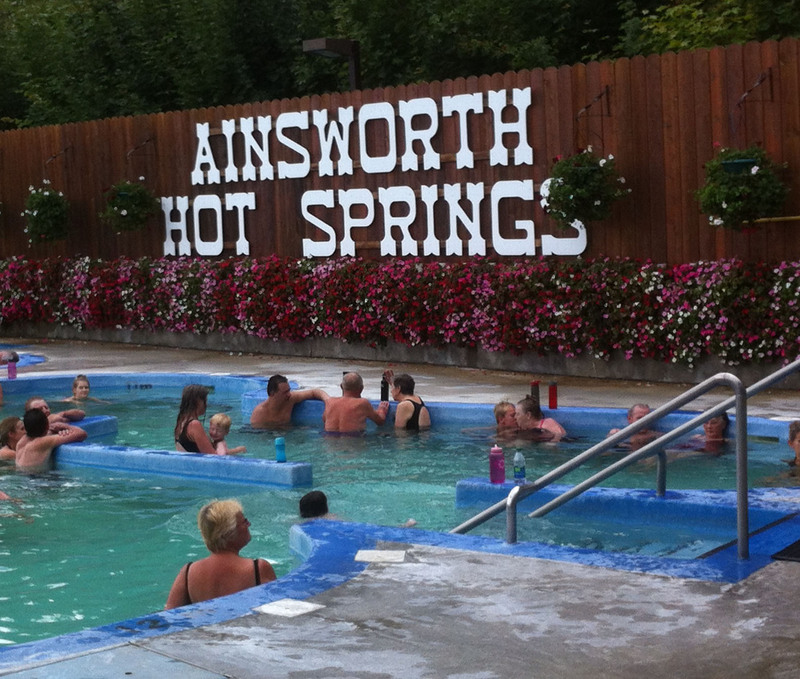 After lunch, it was decided that we should all go pick up our swim suits and take the half-hour drive along Kootenay Lake to Ainsworth Hot Springs, another one of our favourite places to visit when in the area. There’s nothing like soaking in the warm water of the natural springs, while watching the children splash about. A sign above the door told us that the temperature in the large pool was 101 degrees Fahrenheit. For the brave, there was an option to wade through a tunnel where the temperature was 104 degrees. Jim made it through, but I had to stay near the entrance. The heat and humidity made it difficult to breathe. At the entrance to the tunnel you can also get quickly cooled off by getting into the plunge pool, a cool 59 degrees! Up to our ankles was enough of that for us! 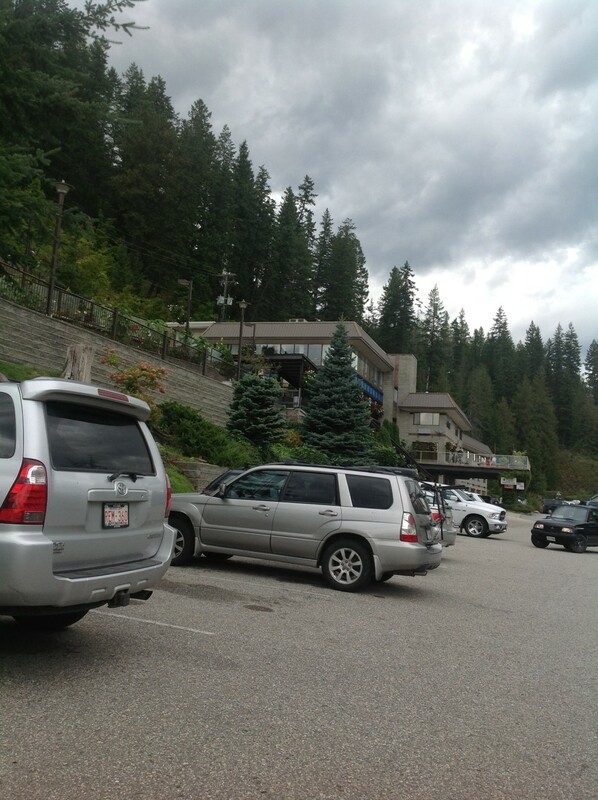 This entry was posted in Photography, Travel and tagged Ainsworth, BC, family, hot springs, Kaslo BC, Photography, travel. Bookmark the permalink. Sounds like a great place to visit–and live. I’d love the hot springs, and I’ve taken hot yoga where the room is that hot (104) so I’d probably be ok in the hottest area of the springs. I wouldn’t go in the cold water though–why lose all that wonderful warmth? Good for you for being open to new adventures. 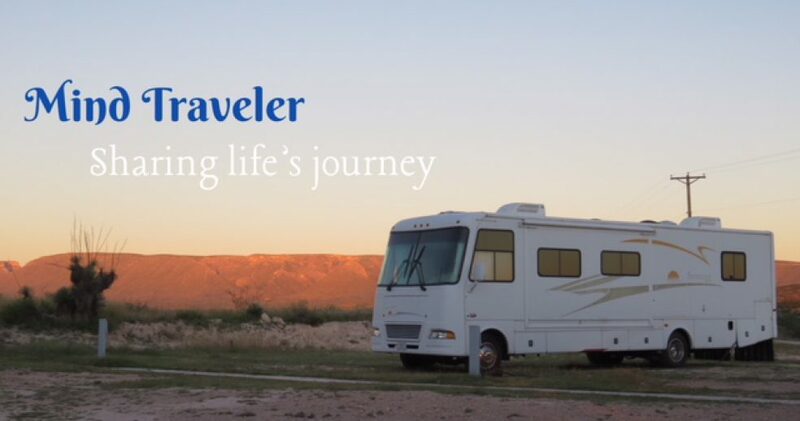 By sharing your journeys you gave me visions of how life can be an adventure if one embraces what it offers each day. Loved the pictures too.